Broader Impacts can be defined as the potential to benefit society and contribute to the achievement of specific, desired societal outcomes. 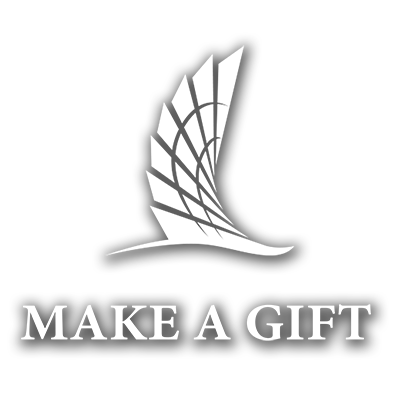 The Office of Community Outreach seeks to develop and support a community of practice within TAMU-CC that’s focused on being impactful by leaving a legacy in the community. We know that can happen through research, teaching, service and beyond and want to support and empower people to do that. The Office of Community Outreach is able to engage in the sponsored research life cycle beginning with the proposal development stages in order to understand and support the community engagement opportunities early in the process. Outreach provides informed evaluation of broader impact activity plans. Outreach supports broader impacts activities with logistical assistance. Outreach utilizes its network of community partnerships in order to maximize the local and regional impacts of research. Broader Impacts planning tools and resources are available on the left side of this page. Additional resources as well as individual consultations are available upon request. Impact Multiplier Grants are available to faculty and staff to foster and facilitate community engagement. Explore our B.I. web stories below to learn how TAMUCC programs are helping to shape the community. A Pilot Program for Teacher Research Experience in Robotics, Computer Science, submitted by Dr. Alaa Sheta, professor of computer science; Dr. Mamta Yadav, professional assistant professor of computer science; and Dr. Rosa Banda, assistant professor of educational leadership. The team received $5,000. Sheta and his team plan to teach robotics and computer science concepts to local teachers during the summer months. Through these new teaching methods, it is Sheta’s hope that young students will be inspired to pursue careers in STEM. “For each of these teachers involved, we believe they will be able to spread their new-found knowledge to each student they interact with from here onwards,” said Sheta. COping with Death through Art (CODART), submitted by Dr. Jennifer Gerlach, assistant professor of counselor education; Dr. Kristina Nelson, assistant professor of counseling and education psychology; and Dr. Sandy Griffith, assistant professor of clinical mental health counseling. The team received $5,000. Through CODART, Gerlach will provide art-based counseling to children and families struggling with the loss of a loved one. Islander L3 – Literacy, Language & Learning, submitted by Dr. Kelli Bippert, assistant professor of literary education. Bippert received $1,215. The Islander L3 program will support local schools who have English as a second language learners by providing these students with tutoring, reading materials, and technology at no cost to the school. Ageless Art! is one of the first programs to receive funding through an Impact Multiplier Grant. Art transcends language, race, and age. Art brings people together and soothes our souls – especially for those who need a creative outlet. That creative outlet came in the form of “Ageless Art! Senior Outreach Program,” a free eight-week art workshop for Coastal Bend senior citizens that was hosted by the Art Museum of South Texas (AMST). The workshops, led by Rachél Payne, AMST art instructor, allowed attendees time for self-expression and gave them a chance to build their own art community. As they worked on their projects, participants would complement each other’s designs, offer advice, and encourage others to create art even if they didn’t have experience. Classes were held in three locations to increase the accessibility of the program: Northwest Senior Center, Broadmoor Park Senior Center, and Garden Senior Center. During the workshops, participants learned basic art design elements, engaged in mixed media activities, and were encouraged to explore their creativity. “We have touched the lives of those who don’t have the opportunity to come out to the Art Museum of South Texas because of mobility or health issues,” said Sheri Emerick, director of Development for AMST and original grant applicant. In spring 2018, the Master of Public Administration (MPA) Program Evaluation course at Texas A&M University-Corpus Christi, taught by Dr. Sarah Scott, assistant professor of criminal justice and public administration, teamed up with the Advisory Council on Homelessness, Mental Illness and Substance Abuse, also known as the Homeless Advisory Council, to provide recommendations that could improve the quality of life of homeless individuals in Corpus Christi. Using homeless veterans as their target population, students collected data on two different initiatives to see if either would be viable in Corpus Christi. One initiative, the Homeless Workers Program, focused on proving homeless individuals with opportunities for daily employment as part of community beautification programs. The second initiative, the Tiny Homes Program, would provide low-cost housing and give homeless individuals the foundation to build relationships with their neighbors. At a packed presentation held on campus in late spring, a representative from each team of students shared their findings and recommendations with members of the Homeless Advisory Council as well as fellow Islander students and faculty. The MPA students recommended that Corpus Christi would first need to define the word “community” and use that definition to guide development, secure land and establish a work program that provides homeless individuals a chance to improve their lives. They also noted that working with a nonprofit organization seemed to promote the best results. With the success of this class project, Scott plans to incorporate the topic of homelessness in future courses and tailor subsequent Program Evaluation courses to tackle different initiatives at different stages for several years. With sustained effort, she hopes to have a bigger impact, not only on the community but also within her class, by providing students with hands-on learning opportunities to work towards real-world solutions. Along with the presentation held on campus, students presented their findings to the Corpus Christi City Council, the Regional Health Awareness Board and the Nueces County Commissioners Court. See the full story here. Thanks to the generous support of the Division of Research, Commercialization and Outreach, two award winners were selected rather than one, and each recipient received $2,500 to expand their outreach projects in the community. Out of 31 applications, Dr. Michelle Hollenbaugh, associate professor in the Department of Counseling and Educational Psychology, and Sheri Emerick, Director of Development for the Art Museum of South Texas (AMST), were selected as the first grant recipients. Hollenbaugh, who submitted the project titled “Outreach in Corpus Christi via Impactful Mental Health Interventions” plans to provide free counseling services to the local community through psychoeducational groups in collaboration with Dr. Yvonne Castillo, director of the Counseling and Training Clinic. During the counseling services, participants will learn to manage difficult emotions, including anger, stress, depression and anxiety. While coping skills groups are already in place, funds from the IMG grant will help with the implementation of the new anger management groups and the possibility of providing services in Spanish. Emerick plans to partner with the Corpus Christi Parks and Recreation Senior Community Services Program on the project titled, “Ageless Art! Senior Outreach Program.” This new program will seek to connect individuals ages 55 and above with hands-on art instruction. Rather than simply ‘crafting,’ classes will emphasize creativity, self-expression and basic art design elements. In partaking in the creative process, participants will have improved cognition through hands-on art practice, as well as lessened depression and anxiety and a greater sense of self-control, self-esteem and socialization. “We will be touching the lives of individuals who don’t have the opportunity to come to the Art Museum of South Texas because of mobility or health issues,” said Emerick. “So, we will be able to bring art education to them thanks to this funding! The two winning projects were selected by a campus committee chaired by Miller and including Jaime Nodarse Barrera, assistant vice president of Development; Ann Degaish, associate vice president of Student Engagement and Success and dean of students; Kellie Smith, professional assistant professor of communication and interim coordinator for the Center for Faculty Excellence and Trent Thigpen, program manager for the Pollution Prevention Partnership in the Office of Community Outreach. Applicants were evaluated on how well the project would impact the Coastal Bend community, how much the additional funds would impact the project and the potential for the project to have a broad impact on the community. The selection committee was particularly impressed by the broad participation among applicants across campus, as well as the high quality and creativity of the proposals. A team of students and staff from the National Spill Control School (NSCS) and the Lone Star UAS Center of Excellence & Innovation (LSUASC) at Texas A&M University-Corpus Christi supported the Texas General Land Office (TGLO) during disaster recovery efforts following Hurricane Harvey. Tony Wood, Director of the NSCS and Jerry Hendrix, Executive Director of LSUASC, deployed Island University personnel a few short hours after receiving the support request from TGLO. The team was sent to Port Aransas, which received the brunt of Harvey’s destructive force and is still without power a week after the storm. Their job was to assess marine and structural damages in the Port Aransas Harbor and Aransas Bay by surveying oil production structures, sunken vessels and floating debris left behind after Harvey. Fellers graduated with his bachelor’s in occupational training and development in 1994 and his master’s in occupational training and development in 1996. He worked with Chris Gunter, marine architect, to help make his idea of a vessel that is “dedicated to life, safety, humanitarian and environmental response” a reality. MERV allowed the team access to waters less than 1.5-feet deep and gave LSUASC a place to land their drones. Staff from LSUASC flew drones over Aransas Bay and Copano Bay to collect high definition video of oil structures as well as gather geo-located photos of sunken tanks and vessels. While no oil leaks were spotted in the areas, other than a slight oil sheen on the water in the Port Aransas Harbor, NSCS is happy to report that marina operations had already put oil booms in place to prevent leaks. In total, the group was able to locate more than 70 damaged boats. The National Spill Control School was established in 1977 and provides consulting, training and research resources to the National Response Team. Increasing the visibility of minority scientists at the local and national level, the Society for Advancement of Chicanos and Native Americans in Science (SACNAS) Chapter at Texas A&M University-Corpus Christi, is hoping to encourage local youths to grasp the mysteries of science, one child at a time. The Texas A&M-Corpus Christi Chapter of SACNAS partnered with more than eight local Girl Scout troops to generate a collaborative opportunity promoting diversity and equality in the fields of Science, Technology, Engineering and Math (STEM) at the first-ever Girl Scout STEM day. The event held on May 20 at the Center for Science and Engineering on the Island University Campus. The event was organized as a united effort between undergraduate students, doctoral students and staff specializing in multiple disciplines across campus. Volunteers worked together to conduct five demonstrations while hosting campus tours around the Island University. More than 45 Girl Scouts participated in a number of activities in physics, chemistry, ecology, among other themes. In one activity, scouts were given the challenge to see who could collect the most gummy bears in the shortest amount of time representing what it is like to have to forage for food and survive in the wild. After the activity, scouts were encouraged to talk about what traits they have that contributed to a competitive advantage. For example, scouts who possessed traits like small hands or quickness helped them to understand what advantage may lead to getting the most candy in the competition. Alongside SACNAS, Girl Scouts of America focuses on implementing and developing solutions for “what works” for girls who show an interest in the STEM field. The collaborative work between local Girl Scout troops and the Island University’s Chapter of SACNAS combats this hurdle and allows young women of all races and backgrounds to be exposed to a diverse sense of community and education in and out of the Island University’s labs. “I love helping to empower people. That’s my gift,” said Thompson, as he invited faculty, staff and graduate students to be mindful of what unique talents they bring to the table beyond teaching and organizing research projects. He addressed a range of issues that often prevent professors from flourishing in their current positions as well as those things that can lead to burnout. A core theme of the event was the development of a unique identity or professional voice in the academic community, something Thompson noted as a frequent obstacle to attracting donors or achieving tenure. Joe Miller, Director of Community Outreach for Texas A&M-Corpus Christi, noted that Broader Impacts has traditionally been associated with research sanctioned by the National Science Foundation. However, his team would like to see the concept expanded to include all disciplines and fields. Thompson also noted that post-doctoral students and professors need to counter-balance their time between personal and professional areas, particularly when trying to teach courses, lead research teams and write articles, often while raising a family. “Learning to dedicate time and energy to one thing at a time, while strategically taking time off from other ventures, is the key to successfully reaching personal and professional goals while building a legacy,” said Thompson. Thompson ended his presentation by addressing a world-wide shift towards recognizing academic research, scholarly writing and the sharing of ideas as not only multi-disciplinary, but also focused on how these areas impact society at large. Other Broader Impacts events sponsored by the Office of Community Outreach included a series of meetings on the Island University between Thompson and center directors, department chairs, post-doctoral research associates, and the staff of the University’s Research, Commercialization, and Outreach Division. The Pollution Prevention Partnership (P3) and AutoCheck programs have a primary goal to reduce ozone which causes air pollution in the Corpus Christi urban airshed. Ozone levels have been on a steady downward trend since the activities were implemented in 1995. P3 and AutoCheck attribute the reductions to successful research, applied fieldwork, partnerships and education. Many approaches to broader impacts have been used. One significant impact is the extensive use of partnerships. P3 and AutoCheck work closely with the City of Corpus Christi, Texas A&M University Kingsville, the Corpus Christi Air Quality Group, Port Corpus Christi, the Regional Transit Authority, VISD, private industry and many other businesses and organizations. All efforts serve to improve the health, economy and education of the local community. P3 programs are based on scientific quantifiable research methods and application. College and high school students participate in training, demonstrations and field work, including instrument operations and data collecting. Curricula, activities, training and presentations given to grade school students and teachers enhance STEM education and promote behavioral change toward the primary goal of reducing toxic emissions. The public participants who have their vehicles screened receive an extremely practical science lesson on mechanical systems, combustion, ecology, economy and health. This information is also spread throughout the community in more formal health fair settings, media coverage and organizational presentations. At a global level, P3 has given presentations and field demonstrations on ozone reduction strategies to four European and Asian delegations hosted by the U.S. Department of State. Achieving primary health and environmental stewardship goals is satisfying, yet being aware of and building broader impacts into our programs recognizes and puts in motion a synergy that can have profound benefits for people, communities, nations and humanity as a whole. P3 invites researchers, scholars, community stakeholders and all others with an investment in air quality issues to engage with us. Learn more about P3 and AutoCheck . Considering the rapid evolution of unmanned aerial systems (UAS) technology and the significant potential of UAS to positively impact the global economy and create jobs, TAMUCC delivers the Unmanned Aerial Systems Summer Institute (UASSI) each year. The UASSI curriculum is based on participants assembling a UAS, and then using software programming tools to control and interact with it. Participants work with TAMUCC student mentors and faculty leaders. The week long program also includes field trips to the Customs and Border Patrol Predator Operations Command Center, and culminates with a team competition of flying, programming and navigating. The program targets low-income, at-risk or underrepresented high school sophomores, juniors and seniors. Community partners including the Coastal Bend Community Foundation enable TAMUCC to deliver this program to participants at no cost. The Unmanned Aerial Systems Summer Institute has profound impacts on the youth who participate, and is helping to empower the next generation of UAS researchers, scholars and practitioners. South Texas Stories is a multiyear oral history initiative at Texas A&M University-Corpus Christi designed to capture the historical memory of the region through the voices of its residents. Led by history faculty, Drs. Claudia Rueda, Jen Brown, Anthony Quiroz, and David Blanke, the project focuses on collecting oral histories and sharing them with the public via special workshops, symposiums, and other programming. In 2016-2017, Drs. Brown and Rueda led an oral history workshop at Corpus Christi’s La Retama Central Library. The event was designed to encourage the study and preservation of South Texas history. Attendees learned the best practices of conducting and preserving oral history interviews. The second event, a symposium called Chicano Voices: Stories from the South Texas Civil Rights Movement, brought together ten activists involved in the Chicano Movement in the 1960s and 1970s as well as a noted scholar of Chicana feminism. Panelists discussed the movement’s struggle for political representation, equal education, and better labor conditions. South Texas Stories plans to continue recording and preserving oral histories in the future, holding similar workshops and symposiums, and creating a special radio series that will feature segments of the interviews as well as a website where the public can freely access the full oral histories and a downloadable podcast of the radio series. The Lone Star UAS Center of Excellence and Innovation (LSUASC) at Texas A&M University- Corpus Christi (TAMU-CC) supports local and state emergency responders with unmanned aircraft systems (UAS) and expertise. By partnering with state and local governments and agencies, the Lone Star UAS Center enables routine UAS operations, as well as response to natural disasters and other emergencies. As an FAA-designated UAS Test Site and Texas A&M University Engineering Experiment Station (TEES) research center, the Lone Star UAS Center has the right tools and knowledge to assist first responders with search and rescue and disaster recovery. Unmanned aircraft systems are able to reach areas that may be inaccessible due to debris or high water and provide an efficient way to survey a large area more quickly. In May of 2015, the Lone Star UAS Center sent a team of operators and UAS after historic flooding of the Blanco River near Wimberley, Texas. The Lone Star team conducted operations as part of Texas Task Force 1 in partnership with Dr. Robin Murphy from Texas A&M University’s Center for Robot-Assisted Search and Rescue (CRASAR) and others. Subsequently, the Lone Star UAS Center, with Dr. Murphy, supported flood response in Louisiana in the summer of 2016. By partnering with local and state entities, LSUASC is able to provide appropriate support within existing response structures, while researching effective UAS methods to determine best practices. The University Galleries at Texas A&M University-Corpus Christi are an important and integral feature of the educational and cultural profile of the institution. Composed of two separate exhibition venues, the University Galleries provide both the campus and broader civic communities unparalleled opportunities for engagement with contemporary artistic practices, interaction with professional practicing artists through its Visiting Artists Program, pedagogical development, and intellectual growth. Both the Weil Gallery and Islander Art Gallery are traditional gallery spaces used for the exhibition of work by TAMU-CC graduate and undergraduate students, faculty, and visiting artists from the local, national, and international contexts. Exhibitions held at these venues serve the immediate TAMU-CC campus as well as the greater Corpus Christi community and beyond. The programs and services provided by the University Galleries at Texas A&M University-Corpus Christi have established a robust roster of engaging and educational cultural opportunities for its students, faculty, staff, and community members from near and far. Their programs bring a wide variety of contemporary art exhibitions, guest lectures, workshops, studio visits, and opportunities for collaboration to the Weil Gallery and Islander Art Gallery, as well as to local venues in the community. These programs have not only attracted artists and visitors from local, state, national, and international audiences, they have helped in recruiting efforts for student enrollment at TAMU-CC and contributed to a rapidly growing urban population in the city. For students, the University Galleries form a bridge between the pedagogical initiatives of the classroom, centered in traditional and innovative creative processes, and the professional realm, where students gain valuable career experience. The galleries’ programming and events are dedicated to hosting thought-provoking exhibitions and guest lectures for TAMU-CC’s student body, campus, and broader community, with an inclusive perspective that seeks to represent all disciplines offered in the Department of Art. The galleries represent the interests of TAMU-CC’s unique student body and forge links to its community through exhibitions of historical, contemporary, international and local interest.